A rare pair of cheetah cubs are thriving after being born at Longleat Safari Park. The cubs’ birth is a first for the Wiltshire wildlife attraction, which celebrates its 50th anniversary this year. The pair, a male and a female, were born eight weeks ago and will remain inside with mum Wilma until they are 12 weeks old. In 2008 the IUCN estimated there to be around 7,500-10,000 adult cheetahs in Africa and there are concerns the numbers have decreased significantly since then. 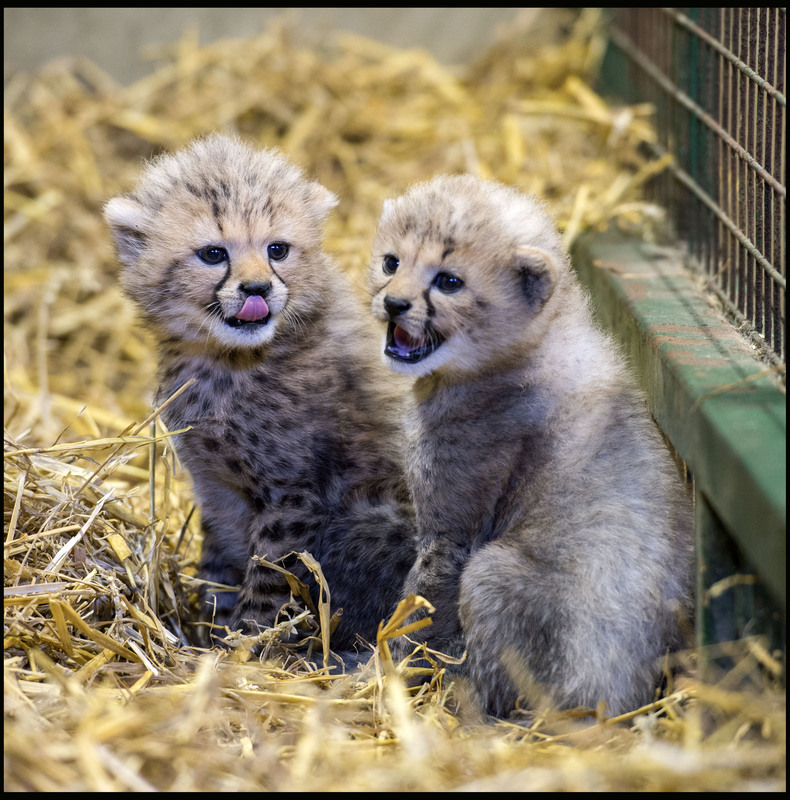 The births, which come almost five years after cheetahs first arrived at Longleat, are particularly welcome as the cubs are part of the European Endangered Species Programme. South Africa,” said keeper Eloise Kilbane. “This means they, and their offspring, are genetically distinct from the vast majority of the cheetah within Europe. “It’s crucial for us to be able to widen the gene pool as much as possible within the breeding programme to maintain genetic diversity and create a healthy population,” she added. The cheetah is the fastest developing member of the cat family. Longleat’s cubs opened their eyes after just six days, began moving around on their own within three week and started chewing on bones at five weeks. Cheetahs are the world’s fastest land animals; capable of top speeds of 71 miles per hour. While running they can cover four strides in a second with each stride measuring up to eight metres. The name cheetah originates from the Hindi word ‘chita’ which means ‘spotted’. In the wild cheetahs can chase and kill much larger game including antelopes and even zebras as well as smaller animals like hares and rodents. · To watch a video interview about the cubs with one of their keepers go to https://youtu.be/1rN7G097L44 .